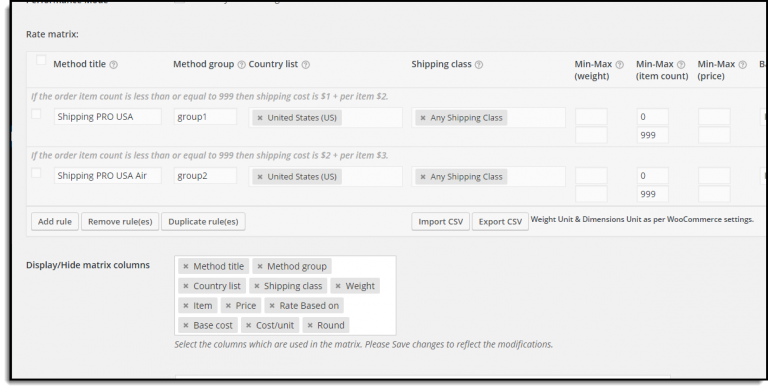 I bought your WooCommerce Shipping Pro with Table Rates Plugin today. And I installed it already. 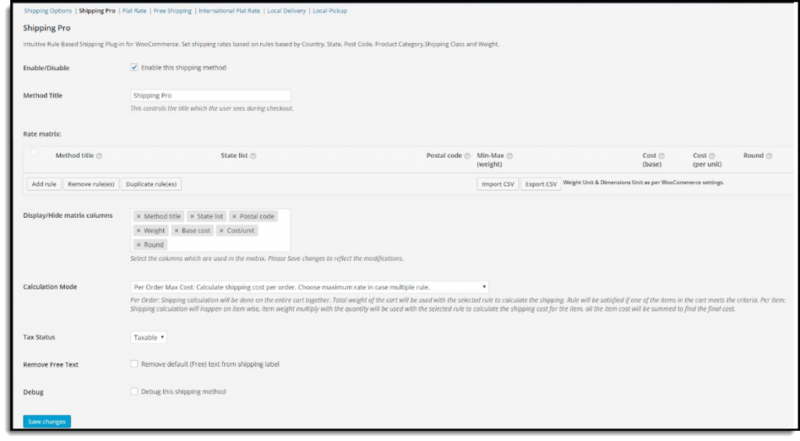 It looks incomplete for me; the screenshot below is only I see, there is no column for the country, no zones configuration, no free shipping tab. You can easily resolve this issue. There is a field called “Display hide/matrix columns.” Kindly click in the white space of this field and add columns from there. All fields like country, shipping class, etc. will be displayed once you mark the fields and Save changes.